Nistec Group, a leader in the production electronic boards and products, has increased the manufacturing capacity at its Israeli North facility (Nistec Zafon & Nistec Golan) with investment into new state-of-the-art equipment for SMT. 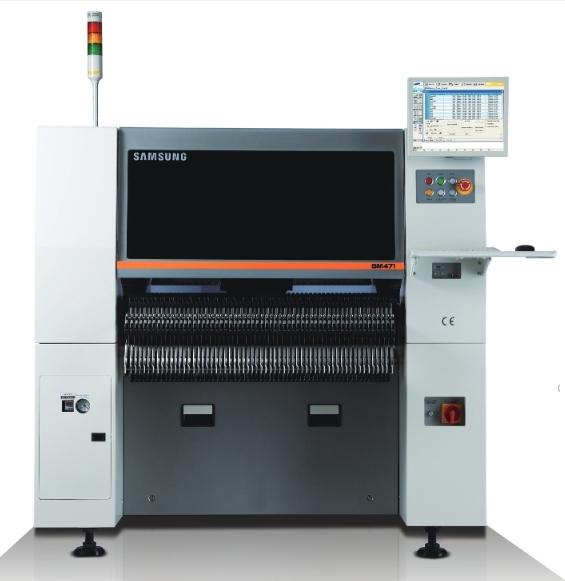 To capture growth opportunities in EMS markets, which are driven by particular demand from high reliability, military and aerospace applications, a two Samsung SM482 machines has been installed. The deal includes two SM482 Plus machines with 6 heads each and a capacity of up to 30,000 components per hour in electronic boards up to size of 460X400 mm. The placement machines will be installed at the Nistec Israeli North plant in Katzerin and Ma’a lot. As part of the deal, the group also purchased smart feeders that enable the automatic loading of electronic components on the machine, as well as special loading carts to prepare the setup for the production line. Automatic feeders are designed to shorten project load times on the production line. “Nistec is continuing its phased and strategic investment plan across our technological electronic facilities. This latest investment in our Israeli North facility enables our customers to enjoy quick-turn delivery with high-end quality products to their customers worldwide”.